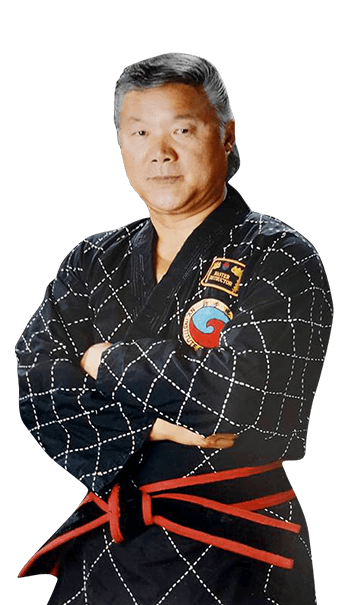 Hi, my name is Grand Master Jhong Uhk Kim and I am the owner of Dragon Kim's Karate USA. When I was a child, I began my martial arts journey and the positive impact it had on my life was remarkable. It was always my dream to someday own my own school, and when I opened Dragon Kim's Karate USA in 1976, I made a commitment to our community in Staten Island to create an enjoyable environment for students to improve their fitness while building confidence they can carry into their everyday lives. Our children's martial arts program creates leaders. We do this by teaching the same values you teach at home. Our adult program is second to none. From traditional martial arts to more modern self-defense styles, there is something for everyone at Dragon Kim's Karate USA. If you are looking to burn major calories, learn self-defense moves and get in the best shape of your life, you must come and check out our program. Martial arts actually help teach self-discipline and socialization skills. In fact, many parents whose children have attention-deficit/hyperactivity disorder (ADHD) report great success with these programs because self-control and concentration are exactly the skills underdeveloped in ADHD kids. And did we mention Martial Arts are FUN! Karate USA has taught me that if I dig deep down inside myself, and think positively, I can find the strength to keep going, no matter what challenge I am facing in my life. The training here has helped me to become a better person. It has helped me to do better in school and keep me focused on the things I have to do in order to succeed in life. Martial arts have changed my life for the better in ways that no words can describe completely. I love my experience at Karate USA and all my friends there.